Below is our "Vines" pattern. Notice how the join line blend with the pattern. 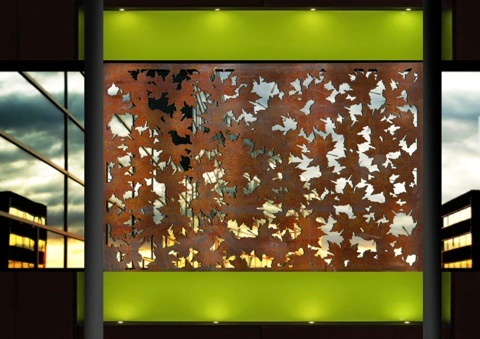 We can make screens to a maximum size of 1.78 m x 3.6 m in one section. We have access to economical freight to Melbourne, Sydney, Brisbane, Canberra, Adelaide, Perth, Darwin and Hobart. We ship anywhere including internationally. For example we can ship one laser cut screen country wide for as little as $33. 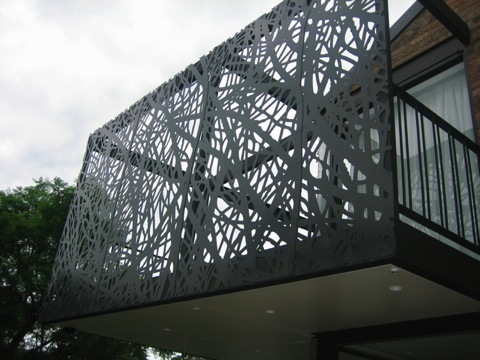 If you have a larger job, we can ship 2.4 metre x 1.2 metre laser cut screens to Sydney or Brisbane for $132 or Melbourne for $165. 2.5mm corten steel 1230mm x 1830mm for $825. Other sizes and materials available. Order 2 and get 20% off. Reconstituted Hardwood: This material gives a chuncky, more organic feel. 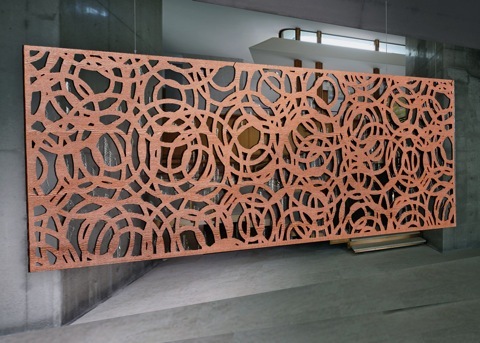 This screens 3.66m x 1.22m and costs $1,760 or 1.82m x 1.22m for $825. Once again order 2 and get a 10% discount.